Take your e-commerce entrepreneurial flight to new heights with Metclouds by your side. We are one of the leading digital solutions providers, offering industry-acclaimed Magento development services. With unmatched technical prowess and advanced infrastructure, our end-to-end solution vouches to not just create a superb shopping platform but also seamless opportunities for your business to grow. Get an SEO-friendly e-commerce platform that coverts big. Our end-to-end Magento website development solution promises you a ready-to-win shopping channel. Give your mobile-using audience just as great of an experience. Make your shopping website responsive that drives just as much of business on hand-held devices. Separate your brand and products from that of your competitors’. Our super-geeky developers are super-proficient in developing custom modules for your Magento-powered online stores. Have a shopping channel so beautiful and engaging that glues visitors till they make any purchase. Design drives business! So we employ a qualified team of amazing Magento theme developers. We develop powerful Magento shopping carts that steps on the hassle, making checking out as easy, simpler and quicker as possible. Less cart abandonment rate – higher business. Add more features to your online store, improve its functionality. Listen to your customers and make improvements accordingly. Let us develop some high-performing Magento plug-ins. Sell on Magento – sell big. Ditch the average-Joes and take hands of a more powerful e-commerce platform. Of course, migrating to Magento won’t be easier. But that’s why we’re here for! With high precision and much delight, we craft our 360 e-commerce solutions in and around your unique requirements and demands. What you want is what we deliver! The walk to the top isn’t easy. We, here at Metclouds, promise to be by your side till the very end, providing superior and highly reliable technical support and maintenance. Whether it’s a small e-commerce platform you’re aiming for or a large shopping portal, our team is fully sufficient with the right strategies, structures, and tools to deliver on your exact requirement with complete adequacy. From design to layout to checkout—we take care of every end. At Metclouds, we prioritize website security just as much. Ensuring it is robust, bug-free and in sync with international web security standards, we provide you a platform that can easily counter cyber attacks. Keep your website safe, business safer! We get it – as the business moves forward, so does its structure and goal. Lining this natural progress with our Magento development services, we develop e-commerce websites that are clean, lightweight, and easily-customizable. We don’t follow benchmarks—we set benchmarks. 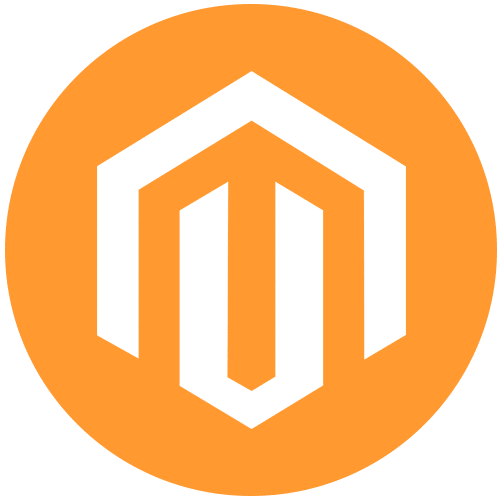 In our commitment to provide 100 percent satisfying end-to-end Magento development solution, we offer above-standard client support. From regular maintenance to 24/7 technical support—we are always by your side, guiding your business towards success.